I've been lurking, reading and posting here for a couple weeks but thought it was time to finally introduce myself. Picked up my first Ranger in a Ohio a few weeks ago while visiting family (see sig). I really like these trucks and love the builds than many of you do.... so much potential in these vehicles. This is a very nice community also and I think I will enjoy being here. Thank you all!!! I bought the Ranger 2 weeks ago. Here it is the second I got back to my folks house.... definitely a grandfather owned vehicle. 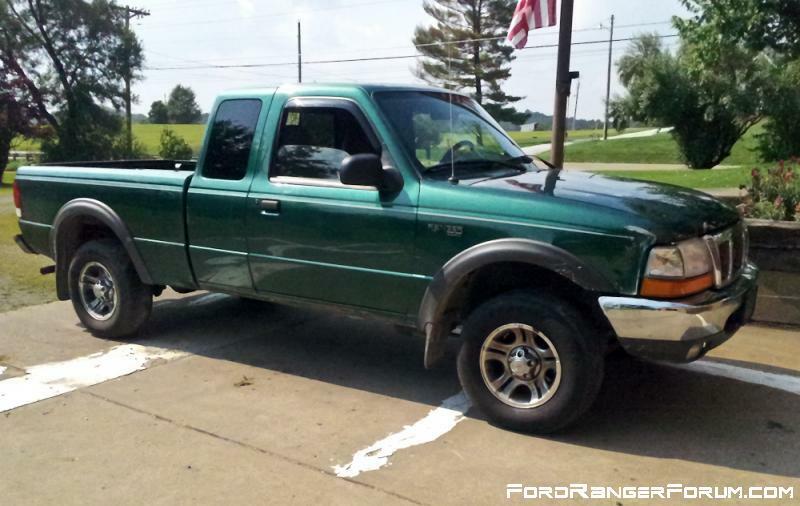 Spotless inside, full molded steps with 235.75.15 tires! I'm 6'2 so that seems silly and I kept wacking my shins trying to get in. Those steps have to go. Impractical and I personally do not like the look... Pulled them off, sanded the lower rockers really well, and 4-5 coats of spray bedliner later. A couple days later with brand new 31x10.5x15 General Grabber AT2s. Wish I'd have gone for a 32" tire now. The shop failed to follow my instructions for white letters in, but I'm ok with. Lately I've bee having some misfire/stutter issues and I'd love you diagnostic help. See my thread here: HELP! 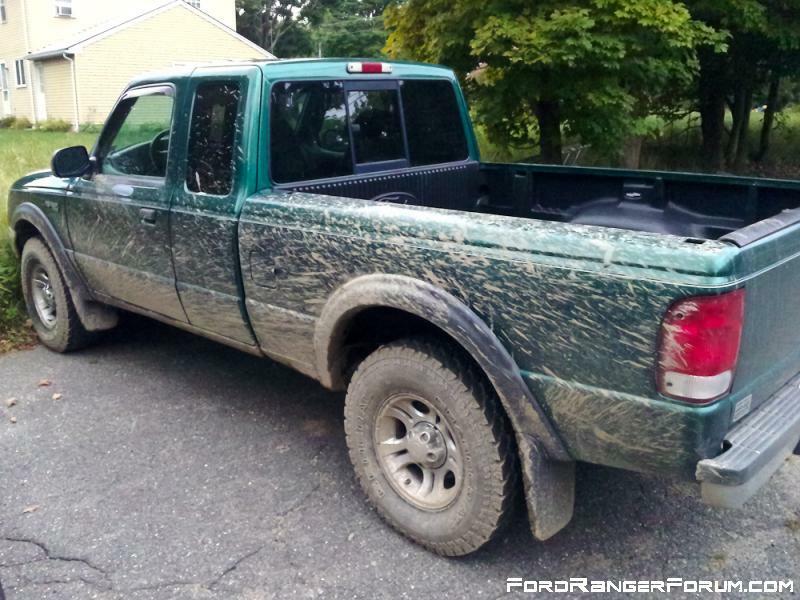 Future plans.... Plastidip rims and both bumpers black. Clean undercarriage and paint black. Maybe remove front valence. Add bullbar and front, transfer, and fuel skid plates. Crank torsions to level front or add spacers if ride suffers to much. Black diamond plate toolbox. Thanks and nice to meet you all!!!! 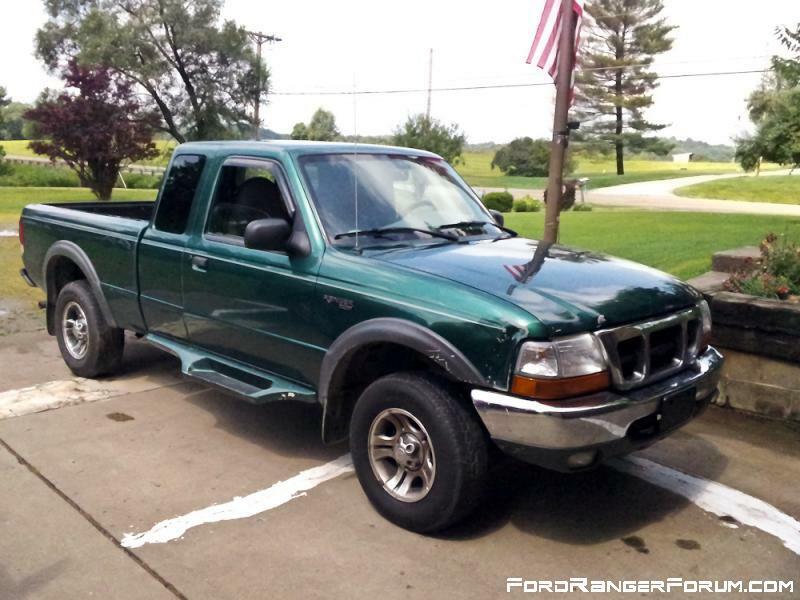 2000 Ford Ranger XLT, 4.0l OHV, auto. 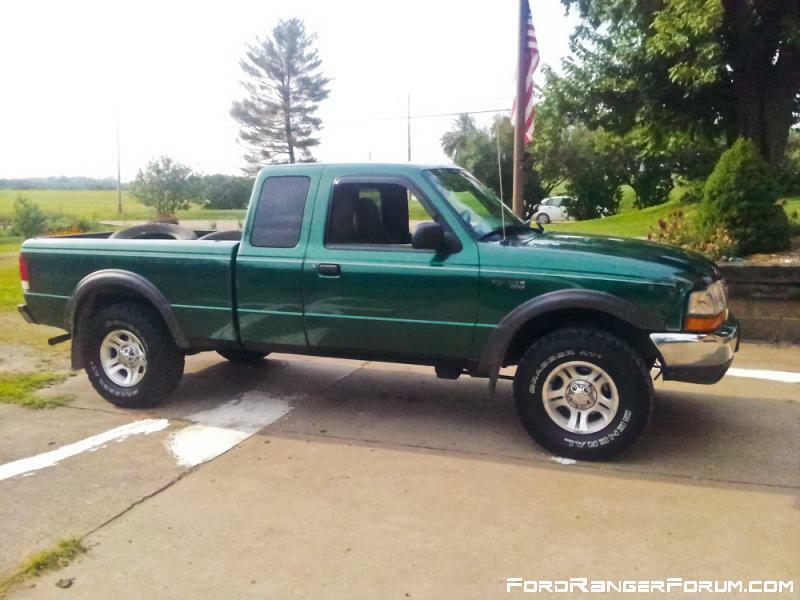 31x10.5r15 General Grabber AT2, 4 door, green. September 28th ~ Western Massachusetts meet, greet, and swap - Join us!!! Great truck! Welcome to the forum! Welcome to FRF from Georgia fellow 4th gen! Thank you all for the welcome!! !